The specific way polar dynamics evolve invites sophisticated understanding of formative process more generally and also Cultural Maturity’s particular changes. Answering the question of why we think in polar terms in the first place proves pivotal in developing new ways of understanding. Creative Systems Theory’s answer: The generation of polarity is necessary to formative process. The fact that historically we have thought in the language of polarity follows from our creative, tool-making, meaning-making natures. Formative processes of all sorts reflect a related architecture. 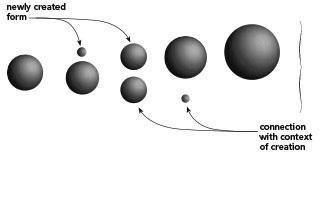 The first half of any formative process brings the newly created object or idea into being and in the process generates polarity. The second half reintegrates that which has now been made manifest with the context from which it originated, and in so doing establishes a new, now expanded whole. To think with greater detail about the role of polarity in formative process, we can take this simple image and extend it like the bellows of an accordion. The first half of formative process becomes an evolving play of polarities, with polarity in each stage following a predictable progression. The juxtapositions of each succeeding stage reflect greater identification with the newly created form and diminishing identification with the context from which it originates. When we then include the second half of formative process, we get a template for understanding formative process wherever we might find it. Creative Systems Theory calls this generic map, applicable to formative dynamics from the most personal of insights to the most encompassing of collective processes, the Creative Function. We readily recognize this two part extended picture with personal psychological development. The developmental tasks that define the first half of an individual life’s are similar in that the underlying impetus with each is toward distinction and the establishing of identity. With childhood we begin discovering who we are, with adolescence we make our first forays into the social world, and during adulthood we establish our unique place in that world. Second half of life maturing involves more specifically integrative tasks. It is about learning how to live in the world with the greatest perspective, integrity, and proportion. The Creative Function presents a simplified picture. Stages can vary in length and emphasis depending on the kind of system and surrounding circumstances. And formative processes can be aborted at any stage. But the general sequence holds with remarkable consistency. For our purposes, the important recognition is that it holds as predictably at a cultural scale as it does for more circumscribed formative processes such as creating a work of art or the evolving play of interactions that produce a relationship. 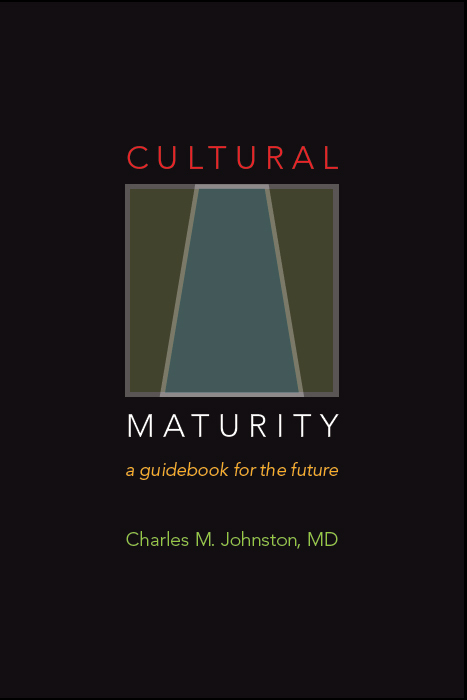 It also strongly supports Cultural Maturity’s conclusions. Creative Systems Theory has more formal language for what I’ve described as the incubation, inspiration, perspiration, and finishing and polishing stages. It calls them Pre-Axis, Early-Axis, Middle-Axis, and Late-Axis respectively. I include that language here with the accompanying diagrams. This more formal language helps avoid confusion when making complex pattern language distinctions. Formative processes begin “in the beginning,” before the appearance of creation as form. Here truth speaks the language of darkness—and of the unbroken whole. The process is germination. The new impulse to form lies within, waiting for the right moment to break through into the world of the known. In a simple creative act, like my working on a piece of sculpture, this is the incubation stage. I may have a vague sense that something is preparing to happen, but nothing is yet visible. If I’m sensitive, I can feel some of the primordial beginnings in my tissues—perhaps in an attraction to a certain kind of movement, a feeling of contained shape, a gentle expanding. In a lifetime, this is the prenatal period and the first few months of life. The unbroken whole speaks in the infant’s relationship both to the mother and to itself. Even following birth, the bond to the mother is what is primary. The light of conscious volition, that evidence of first distinction of both self from self and self from other, is only preparing to awaken. The reality of the infant is an unselfconscious creature world. To feel is to act; there is no separation. In the story of civilization, this incubation stage corresponds to Stone Age times. For the most part, this is a reality of our distant past, though there are still a few places on our planet—in the New Guinea highlands, the upper Amazon basin, some places in the Australian outback—where this primordial reality can prevail. The unbroken whole at a cultural scale is multilayered, at once the tribe, nature, and time. In early tribal realities, the “body” of the tribe is more accurately the primary organism than the individuals who compose it. At once, truth and nature exist as, in essence, a single thing. Tribal deities are simply the faces of nature set animate: the wind, the mountain, bear, eagle, coyote. Health is one’s degree of harmony with this living nature. Knowing is one’s bodily connection in and as this whole. And time similarly affirms this unbroken entirety. Existence takes place in an eternally cycling present. Each generation and each turning of the seasons reenacts a timeless story. The next big slice makes the magic and numinosity of the creative most explicit. Newly created possibility now steps forth from mystery into the light. This dramatic movement fundamentally alters how we perceive the order of things. Truth becomes explicitly polar. And its primary mode of expression shifts from the kinesthetic to the symbolic, to the language of myth and metaphor. In working with chisel and stone, this is the stage of first inspiration. What was before only a faint quickening is now visibly born. My task is to play with images and possibilities, to feel where in them the deepest power lies, and to risk to give that power first form. In a lifetime, this is the magical world of childhood. In this stage, we see the first critical distinction in initial separation from mother and, in first manifestations of individual consciousness, separation from the infant’s more creature-like reality. Truth moves a bit more “into the light,” organized now according to the laws of imagination. The critical work of the child is its play, trying out images of possibility on the stage of make believe and let’s pretend. With intimacy, this part of the story has its beginning with the first blush of real attraction. It’s a magical time, filled with tentative first touchings and fantasies of the possible. Still largely strangers, our connecting is often more as numinous symbols than as simple mortals . . . a fair princess, a handsome prince. With the story of civilization, this stage takes us to the time of early civilizations. It first manifests in the coming together of tribes into broader allegiances. It reaches its full splendor with the classical high cultures—in the mystical monumentality of ancient Egypt, the vibrant artistry of Pre-Columbian Mesoamerica, or the great mythic tales of Olympian Greece and the rich philosophies that followed. But we can also find current examples of this inspiration stage in culture—in places like Tibet (though Chinese occupation has tempered the inspiration) or Bali (though more so prior to the tourist invasion). This is the time of culture’s initial flowerings. Something more than just nature (spirit, essence, magic, beauty—no single word quite does it) emerges as the new cultural referent in these times. It manifests with particular directness in myth, speaking through epic tales and complex pantheons of major and minor gods. This is also a time of rich artistic potency. Art during this stage becomes not just expression, but in and of itself, a form of truth. We see also philosophy’s inspired beginnings. Creation’s perspiration stage takes the possible into solid form. It galvanizes the conviction, focus, and endurance concrete manifestation requires. With the beginnings of this stage, we may easily feel that something is being lost. The preceding stage was magical and numinous. Now the predominant feelings are often hard work and struggle. But this stage is in no way less significant—and no less creative. The moment of first inspiration is indeed wondrous, but it is only a first step on the road to fully realized creation. With creative perspiration the language of truth shifts from the mythic to the moral and the emotional. The work progresses by virtue of heart and guts. We can understand why this experience of struggle might be common by looking at the underlying polar dynamics. By the middle of this stage, the power of the newly created and the power of the context of creation have become equivalent. Reality exists as a polar isometric between at once opposite and conspiring forces. As a sculptor, it is here that I most directly grapple with the hard demands of my calling. I must confront both the brute fact of the stone and my own limitations. Sometimes work proceeds with the patient rhythms and quiet satisfactions of the craftsman. Other times I rage. Over the course of this stage my relationship to the work changes, becoming both more vigorous and more expressive of the work as a human act. In a lifetime, this stage bids entry into adolescence. Adolescence is a heroic time, but also often an awkward and troubled time. The innocence of childhood must be left behind. It’s a time for us to heroically challenge external limits and establishing inner ones. Emotions can be strong and contradictory. The reward for perseverance is an increasingly established identity and successful preparation for entry into the adult world. This stage in love takes on the tasks of relationship building. This can be immensely satisfying—coming to better know the other person’s gifts and peculiarities, beginning to build a life together. And again we commonly find contradictory feelings. The glow of the honeymoon period—with the other as dream image—necessarily fades. This is the stage at which we most directly deal with questions of control and territory. It’s here we decide who takes out the garbage. This stage in cultural dynamics ruled in the West from the time of the Roman Empire through the Middle Ages and predominates today in much of the Middle East, as well as in parts of Eastern Europe, Southeast Asia, and Central and South America. We find great wonders, from the Roman aqueducts to Europe’s great Gothic cathedrals. And equally we find struggle (and not infrequently pain and inhumanity)—the Crusades and the Spanish Inquisition, the European Dark Ages, and, in more modern times, often intractable conflict and the tyranny of brutal dictatorships. The emotional and moral assume new prominence. With the Middle Ages, Europe saw values like honor and chivalry newly revered, along with the first intimations of romantic love (though at this point it was unrequited love that was idealized— love held at a safe moral distance). Cultural beliefs at this stage commonly have a fundamentalist ardency. A newly equal, and frequently ambivalent, balance between polar forces orders cultural experience. With the European Middle Ages we saw social structure increasingly feudal, landed lords above, serfs and the otherwise impoverished below; church and state (here in the form of kingly rule) became newly separate, newly equal, and ever-more-frequently at odds; and the ancients’ many gods with their differing proclivities began to surrender their power to the notion of a single deity—or more accurately a dual deity—a monotheistic godhead in eternal battle with the forces of evil. In the modern world, one of the easiest ways to find perspiration stage cultural sensibilities is to note where conflict is common and particularly intractable. Again, we might regret that a certain magic has been lost. But this is not regression. The reward for this loss is increasingly established social structure. The Middle Ages gave us, with kingly rule, a new solidification of social organization, establishment of an institutional church, radical validation of rights with the Magna Carta, and increasingly formal structures of communication and commerce. We find related advances—and related contradictions—wherever perspiration stage developmental realities dominate in contemporary times. Our progression has thus far taken us from the mystery of the formless into magical possibility and first form, and then through a time of solidification of form. Now we give new form its finishing touches. Attention shifts increasingly to refinement and detail. Poles become even more separate, giving reality two nearly distinct faces. Truth becomes increasingly rational and material, defined in terms of logic and phenomena that can be seen and measured. And, at the same time, it becomes newly personal and subjective— the truth of aesthetics and even whim. At this stage, as I face that piece of stone, I become newly able to objectively step back. The work now sits before me as a “piece,” ready for completion. My focus shifts increasingly to issues of detail, to making sure all the elements are there and fit correctly together, to questions of aesthetic refinement, final nuance. Audience becomes increasingly important. I need to give the newly created piece the delineation of voice required to communicate clearly. In personal development, it is here that we face the tasks of adulthood. Adulthood challenges us to refine identity, to make essential decisions regarding career and family and to give nuance and detail—and one’s personal stamp—to the way we live our lives. More than at any other time, identity can be described in terms of things we can objectively see and measure—the structures we have given our live and the forms of our actions. Adulthood is the most explicitly “in the world” stage of life. Love at this stage becomes established and defined. We’ve sorted out the major issues of being together and reached general agreement on the roles and boundaries of relationship—who does what, how, and when. We’ve largely stopped asking what our relationship will be, because it now is. Our attention shifts to details and fine-tuning. If we’ve chosen to continue together, love’s connection at this point frequently has a feeling of calm and acceptance not present in earlier stages. In the story of civilization, this is the Modern Age, the last four hundred years in Western Europe and at least an ingredient in the sensibilities of most all cultural systems today. If classical times marked Europe’s childhood, and the medieval period its adolescence, modernity marked its coming of age. As culture engages finishing and polishing dynamics, oral and kingly truths gives way to more materially ordered realities—a personal reality of individuality, intellect, and achievement; a social reality of law, industry, and economics; and a physical reality of actions and their concomitant reactions. Institutions come to reflect a new appreciation for individual freedom and individual initiative. Governmental forms become representative; religion entertains newly personal and direct relationships with the divine; and economic competition becomes its own ethic, freeing business from moral constraint. With the Modern Age in Europe we witnessed the Age of Reason and the growing prominence of science with its new emphasis on the empirical. We also witnessed reason’s counterbalance in the Romantic Age, with its emphasis on nature and the artistic (and romantic love increasingly requited). At this stage a sense of impending completion permeates culture. People speak of it being only a matter of time until all of life’s great mysteries find elucidation and individual freedom is fully realized. To fully grasp this developmental progression, we need to appreciate how the architecture of polarity has evolved through cultural time. The Creative Function maps this evolution. Thought in tribal times included polarity, but it resided in understanding’s background—the major influences in human understanding were the unbroken whole of nature and tribe. With the move into classical times in both the East and the West, polarity assumed a more central role in understanding, but poles remained conceptually close, and were not yet at odds. (The yin and yang of Chinese Taoist philosophy or the entwined snakes of the Greek caduceus provide particularly graphic illustration of this complementary sort of relationship, but we could turn as readily to underlying assumptions in the dialectics of Plato or Aristotle.) In cultural times that parallel the European Middle Ages, polarity becomes more explicitly about opposites. (Truth becomes an isometric—though still ultimately co-generative—play between clearly contrasting forces: feudal lords and peasants, church and crown, good and evil.) With our Modern Age, poles become even more separate, and also, by virtue of that separateness, less obviously in opposition. (In a Cartesian reality, subjective and objective or mind and body are not so much in conflict as simply inhabitants of separate worlds.) While each kind of polar relationship can appear in a wide array of culturally specific manifestations, each brings with it predictable assumptions about how the world works. Part of the “finishing and polishing” stage story is that we have reached completion. The piece of sculpture is done. Identity is established. The hard work of relationship is over. We have brought understanding into the full light of reason. But, in a similar way to what we saw with intelligence’s creative progression, polarity has told but half if its story. Much that is most important in the “respiration” of creative life has yet to take place. And, again, thankfully this is so. It is these additional creative stages, and the additional kind of polar relationships they involve that make Cultural Maturity possible. I’ve described how formative processes have two halves. Polarity has very different significance depending on which half we inhabit. To appreciate how this is so, and before that, what just getting to such second half realities requires, we need first to add an additional stage—or more accurately a time between stages. It has particular importance for understanding these formative times in culture. Transition marks the line separating the creative journey’s two halves. I’ve hinted at how Transitional changes are different from earlier developmental leaps in that they involve more than letting go of one stage and moving to another. It is a difference we will look at in detail in Chapter Eight—they bring into question the entire developmental orientation (toward ever greater ascendancy, separation, and solidification of form) that has defined growth and truth. Transition is creation’s continental divide. Transition can be a profound time—in its confrontations lie the seeds of wisdom. But it is also a time of disorientation and inescapable uncertainty. We stand at a precipice. Do we leap and trust that solid ground is to be found? Do we go back? Proceeding depends on the gradual discovery of a new completeness in how we relate to both ourselves and our world. The piece of sculpture is done. It stands before me as a crowning achievement. But what now? During the process of its creation I have come to be almost more the sculpture than myself. And now, suddenly, I must let it go. I could be tempted out of fear to cling to the piece, refuse its surrender. But if I do that, the piece becomes increasingly tired and purposeless, and I myself become increasingly absurd. I could just blindly walk away. But where do I go—indeed, is there any place to go? With individual development we confront the unique and unexpected challenges of mid-life. Just as we thought we were done, the most fundamental of questions reappear and block our way. In time, this necessary questioning touches every part of our lives—our work, our love, ultimately our most basic ideas about who we are and how the world works. The sense of purpose we once took for granted can feel suddenly elusive. We ask, So who am I, really? And what really matters to me? At this point we have no way of knowing whether anything lies ahead—at least anything that can excite. Perhaps the future promises only being over-the-hill. Some people respond to this uncertainty by abandoning what they have been—by getting a divorce, leaving their jobs. Others cling to old beliefs or try to return to their youth. But we have no real choice but to live with the uncertainty. When we attempt to hide from it, perversely, we only feel more empty and confused. We see something similar with the midpoint in love as a creative process. Suddenly, just as we thought our work done, the passions that have driven love risk eluding us. The same sense of completion that before gave us pride easily begins to feel like habit, and the comfort of familiarity easily feels like taking each other for granted. We have become for each other all too familiar objects. Where to go from here? Stepping forward requires that we surrender that familiarity, and with it our dreams of perfection and completion. But is there anything beyond these things? We have no way to know. In fear, we often cling to what we know. But when we do, our relationship becomes empty and stale. Cultural Maturity proposes that much of what we see today has its origins in transitional dynamics. As a species, we stand at a precipice. Old answers are ceasing to work and, by all evidence, they will not be replaced by new ones, at least not of the same sort. What lies ahead? Anything? From the apex of Transition we cannot know. We can try to cling to familiar truths—from the onward and upward story of material progress to religious predictions of final salvation or damnation. But when we do, we only become more absurd. This Transitional predicament is well described by postmodern social formulations such as those of existentialism and social constructivism. Such views emphasize the diminishing usefulness of final truths of every sort—truths based on cultural belief. Our developmental picture offers explanation for why, as I’ve proposed, even the best of such notions can only get us part of the way. Such views eloquently address the Transitional quandary, but by themselves give us no way to understand whether anything of real substance lies beyond it. With Transition we reside at a threshold, at a doorway joining two related but also fundamentally different words. Stepping over maturity’s threshold—whatever the creative scale—offers that we might leave Transition’s precarious reality behind us. We are necessarily surprised by what we encounter—surprised that so much of creation’s journey remains ahead, at the magnitude of what it will ask of us, and by the depth and richness of its potential rewards. Transition in one sense marks a completion, in another a beginning—of a systemically mature creative life. While we may have thought creation finished, or nearly so, in fact we have barely approached its midpoint. Yes, the new object of creation (the piece of sculpture, personal identity, relationship as an entity, or culture as structure) stands shining before us. But it has yet to be significantly tested. Integration is about that testing—and the creative changes that result, not just in that object, but also in everything that surrounds it. 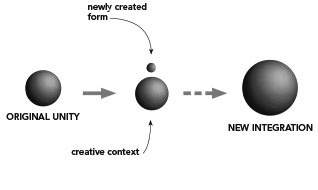 The second half of the creative cycle reconnects the new creation with the personal and social contexts from which it was born. It is about bringing maturity to the creative process. We become newly able to step back from the whole of the creative mechanism, and, with this, to better appreciate where it has taken us and what ultimately it has been about. A word like integration comes close to describing what takes place, but this is not integration in any simple additive or averaging sense. The changes that take place in these integrative stages are as fully creative as any seen before. They change everything—fundamentally. Key to what we see is a fundamental change in the role and functioning of awareness. Integration provides perspective of a newly encompassing sort. Our interest becomes increasingly not just the newly created object, but that object in living relationship with all that surrounds it. This changes how we see the world dramatically. Indeed it changes truth itself. We better appreciate the degree in which how we perceive affects what we perceive. And we better recognize how truths that before seemed separate or even adversarial—many of which are essential to our sense of identity—may work as colluding partners. Before this developmental point, all this would have been too much—disorienting, overwhelming. As Integration Phase dynamics become timely, we experience these changes as positive. They make possible a sophistication of understanding—and of life—that we could not have known before. Within the limits of any formative process’s particular creative scale, we engage a more conscious and explicitly complex, whole-box-of-crayons world of experience. As I step back from that piece of stone and examine the finished sculpture it has now become, I confront how the journey of its creation is in fact far from over. The piece may need further seasoning, and, even if not, it has yet to be placed in the world. What will happen to it? Will it make the world a better place, be ignored, be destroyed? And in an important sense, it has also yet to be placed in me. Much remains to happen. On “completing” a piece of real significance, it is often years before I can say with any clarity what it is really about, what it has to teach. The conscious object of creation before was the stone. Creative maturity reveals that my engagement with it has always been as much about creating myself, and, if it truly functions as art, about new possibilities in the creation of culture. The primary achievements of the first half of development in our individual lives—self-definition, the acquisition of skills and knowledge, perhaps creating a family—all in some way concern establishing ourselves as form. The developmental challenges of life’s second half make real in ever-more-subtle ways the fact that creative Transition first made inescapable—that the role of such forms in the tasks of truth and identity is but a beginning. Truth as answer increasingly gives way to truth as perspective and interrelationship. Questions present themselves that can’t be answered in the old ways, questions of a newly contextual sort. We reexamine our professions, looking to see if they still provide challenge and fulfillment in our lives—and as important, if they contribute in satisfying ways. We do the same with our relationships and our beliefs. In the process, who we are in each of these spheres deepens. Frequently our choices remain largely as before—it is primarily our relationship to our choices that changes. But sometimes too we make new choices, venture off in wholly new directions. Questions of perspective and meaning increasingly move forefront. When we say someone is mature, seasoned, or wise, we appreciate that they have engaged and weathered at least the most important of life’s Integrative challenges. Love’s second-half dynamics give new emphasis to the uniqueness of each person and to the unique needs of the relationship. Bonds become at once richer and more humble. Being more fully ourselves, our connection can deepen. But this can happen only with the acceptance of limits to what one person can be for another. Being together with fullness and honesty—however that might look—increasingly defines affection and commitment. We more deeply appreciate self and other as particular and complex beings. In this book, I’ve proposed that today we see related changes on the cultural stage. Each is a predicted outcome of the more fully encompassing cognitive reordering we would expect second-half dynamics at a cultural scale to produce. I’ve described how the specific values and truths—objectivist, materialist, individualist—that have defined our most recent stage in culture can’t continue to serve us by themselves. I’ve also shown how new questions in every sphere require that we abandon polar ideologies and assumptions and think in more complete and embracing ways. 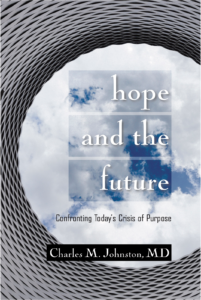 In addition, I’ve discussed how tasks of every sort present us with fundamental questions of context and meaning, and how, more and more, we must make conscious choices in a newly complex, often uncertain, deeply interconnected, and ever-evolving world. Furthermore, I’ve argued that we are being challenged in our time to become, in ways not before conceivable, consciously responsible—mature choice-makers in the larger human story. Do our times mark the end of civilization? In the sense of confronting Transition’s threshold they do. Our times mark the end of a way of organizing experience and making sense of ourselves that in its general contours has been with us since our species beginnings. From the near side of that threshold there is no way of knowing whether anything lies beyond what we see, and every reason to assume we will find only problems ahead. A step over maturity’s threshold reveals that a great deal potentially lies ahead. We can’t know all the specifics or whether we can pull off what the future will require. But this developmental picture makes strong argument for the conclusion that the rewards for venturing forth could very will be not just exciting, but profound.